Your Garnet Pendant is here! 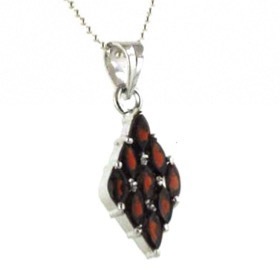 A sparkling deep red rhodolite garnet pendant suits everyone and makes a wonderful gift. 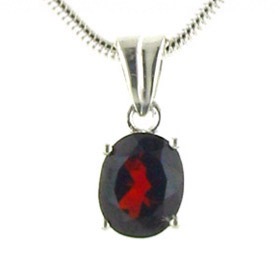 Set in sleek sterling silver, a garnet gemstone looks at its best. Teamed up with one of our Italian sterling silver chains, it looks perfect! 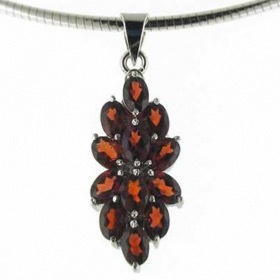 Rhodolite garnets have been used to make gemstone jewellery for centuries and for good reason. They make fabulous jewellery. See our garnet necklaces, garnet earrings, garnet bracelets and garnet rings for more choices!